These famous black marble tiles with a high polished surface makes a great looking stone floor in both commercial and domestic situations. 305 x 305 x 10mm. 610 x 305 x 12mm. 610 x 610 x 15mm. 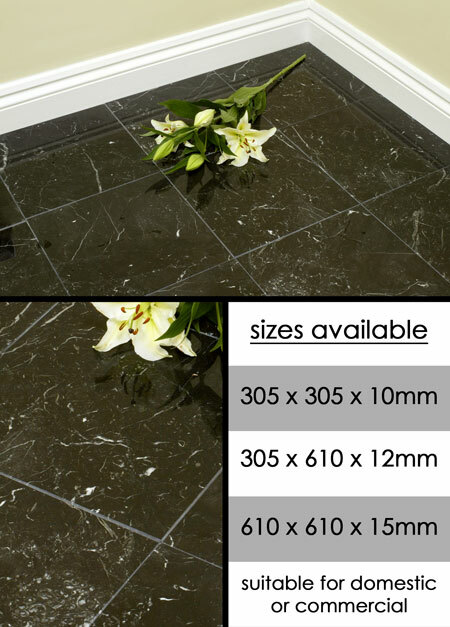 * High polished black marble tiles. * Suitable as floor or wall tiles. * 3 tile sizes available.